Air conditioners have been in use for over a hundred years now, but the innovation of energy efficient units are still fairly new. Recently, air conditioners experienced the latest evolution of technology — the inverter technology. A/C systems have been known to consume both residential and commercial power in most developed countries around the world. Inverter air conditioning systems were created to change that. 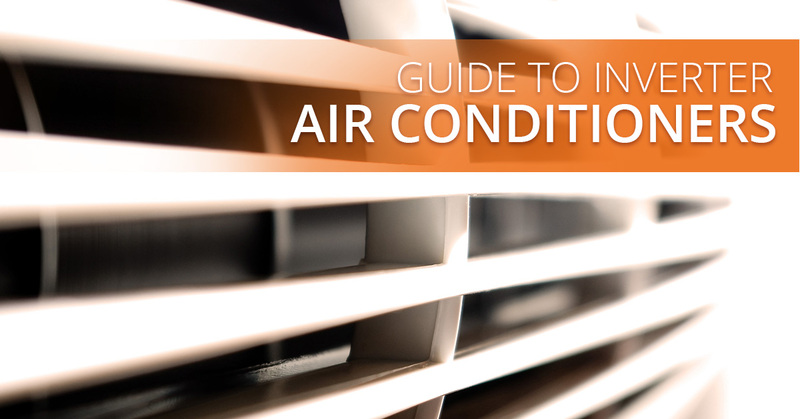 While many people have air conditioners, not all of them completely understand how they work — it is far more complex than just setting a temperature and having cool air start filling your surroundings. In fact, during the cooling process, air conditioners take the air from inside, cools it by passing it through the evaporator, and then directs the cold air back inside. Old units used to take outdoor air, pass it through cool water, and then direct it into your home. However, today’s air conditioners mostly work on internal air. What is the inverter technology? Having an inverter air conditioning system gives you the flexibility that you need to make your home comfortable — even with the consistent Barbados warm weather. Compared to other units, inverter systems give you this flexibility without having to pay a premium price. Air conditioning units that do not have inverter technology will only send out a steady stream of power at a fixed speed that has no variation. Having no variation means that on those days that bring extreme heat, it will cause the air conditioning unit to be continuously working to maintain the right temperature in your home. With the unit working hard to maintain the set temperature in your home, the unit will consume more energy and raise your energy bills. Instead of having no variation, inverter air conditioners were designed to vary the speed of its compressors. Having variation allows the system to send out the perfect amount of power — no more, no less — that is needed to maintain the temperature in the room. Inverter air conditioning systems are able to detect when the compressor needs to perform at higher levels and increase the amount of refrigerant to reach, and maintain the demanded temperature. This is because the amount of cooling power that is needed by the inverter system is determined by both the temperatures outside and in the room. The inverter technology allows the system to speed up and slow down as needed to maintain the temperature. Once the system reaches its speed, it can make minor changes to its air output to compensate for the changes in the temperature throughout the day, whether the unit is in heating or cooling mode. These systems are extremely effective at keeping the input power at a minimum, which saves energy and can reduce your energy bills. 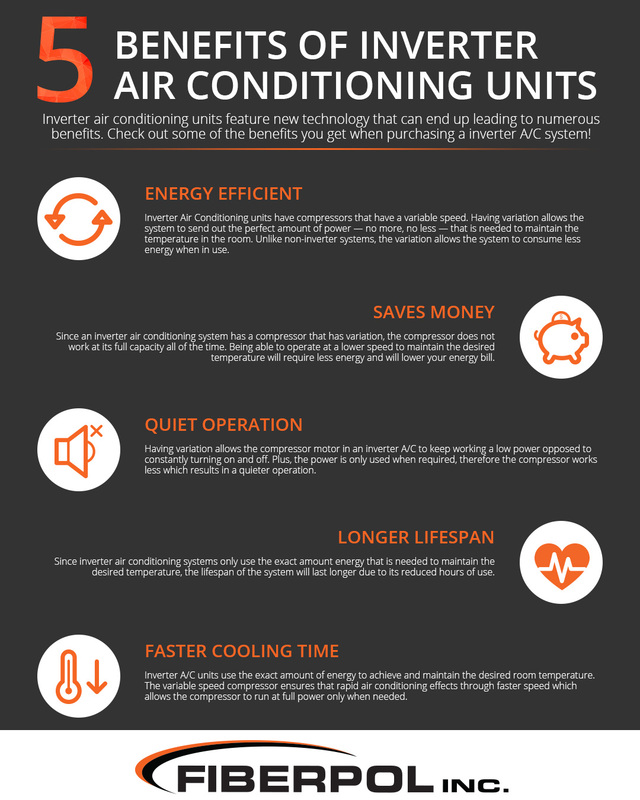 Statistics show that inverter air conditioning systems use less power and result in lower energy costs, which is perhaps the biggest benefit of the innovative system. However, inverter systems can potentially save you up to 30 to 50 percent on your energy bill. Plus, with inverter systems there is no need to worry about fluctuating temperature as they are efficient at maintaining the set temperature. Even when the temperatures outside rises, you can rest assured that the temperature will be where you desire it to be inside. These units also are far less noisy than standard units — you can barely tell when the system is running! In addition, inverter air conditioners have a faster — about 30 percent — startup time. Inverter systems are filled with efficiencies that cause it to use less time and energy to reach a specified temperature, which in the end will lower energy costs. Are inverter air conditioners worth the investment? Indeed, inverter air conditioners cost more than your standard air conditioning unit. However, with the efficiency they have, inverter systems can help lower the amount of energy used, therefore lowering your utility bill. If you use your air conditioner all year round or occasionally use it for heating, an inverter air conditioning system is well worth the investment. Studies have shown that the additional costs of purchasing an inverter system will be recovered within two years of using it, with consistent savings on energy bills after that. 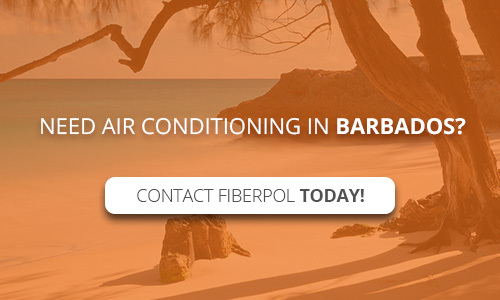 For more information about A/C units at Fiberpol, contact our team today!